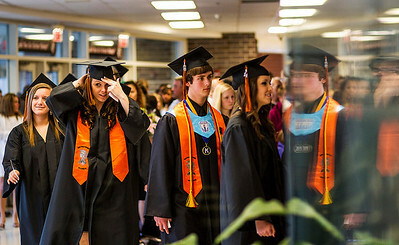 Kyle Grillot - kgrillot@shawmedia.com Students including Meghan Wimmer (left) and Mallory Wlasiuk (second from left) enter the gyms at McHenry High School West before the start of their commencement ceremony Thursday, May 15, 2014. 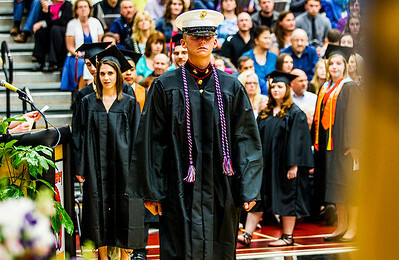 Kyle Grillot - kgrillot@shawmedia.com McHenry West graduate Tyler Graves' Marines hat sticks out of the crowd during the commencement ceremony Thursday, May 15, 2014 at McHenry High School West. 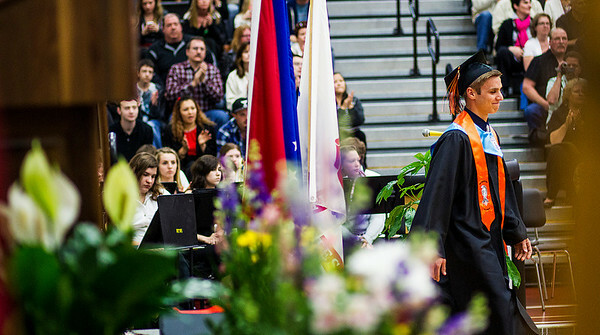 Kyle Grillot - kgrillot@shawmedia.com Monica hying looks back at the administration after recieving high honors at McHenry High School West during the commencement ceremony Thursday, May 15, 2014. 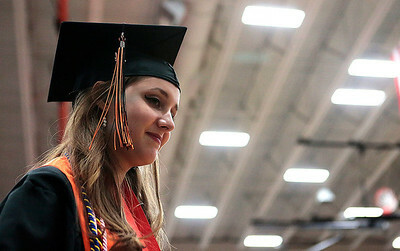 Kyle Grillot - kgrillot@shawmedia.com Claudia Pasche waits to receive her diploma during the commencement ceremony Thursday, May 15, 2014 at McHenry High School West. Kyle Grillot - kgrillot@shawmedia.com Myles Lucas hugs principal Marsha Potthoff after receiving his diploma during the commencement ceremony Thursday, May 15, 2014 at McHenry High School West. 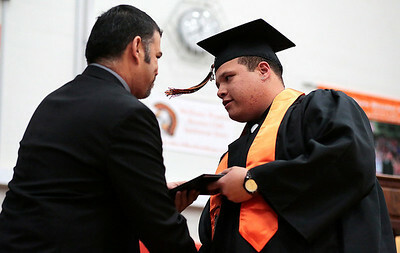 Kyle Grillot - kgrillot@shawmedia.com James Coats receives his diploma during the commencement ceremony Thursday, May 15, 2014 at McHenry High School West. 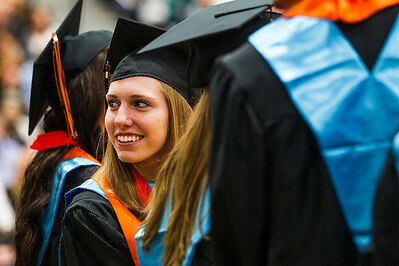 Kyle Grillot - kgrillot@shawmedia.com McHenry High School West graduate Jordyn Smith smiles while waiting to receive her diploma during the commencement ceremony Thursday, May 15, 2014. 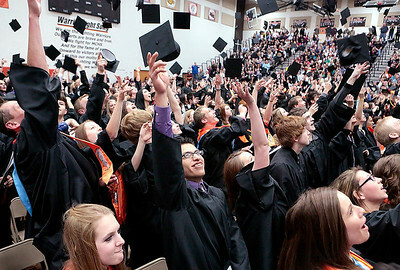 Kyle Grillot - kgrillot@shawmedia.com Students throw their caps at the end of the commencement ceremony at McHenry High School West Thursday, May 15, 2014. 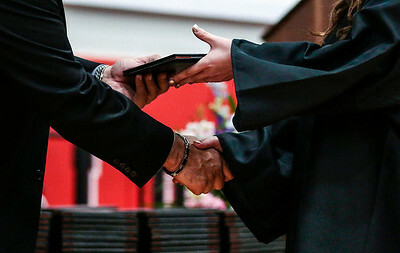 Kyle Grillot - kgrillot@shawmedia.com A McHenry West student receives their diploma during the commencement ceremony Thursday, May 15, 2014. Kyle Grillot - kgrillot@shawmedia.com McHenry West graduate Tyler Graves crosses the front of the gym receive his diploma at High School West during the commencement ceremony Thursday, May 15, 2014. 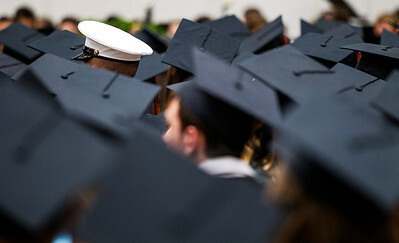 Kyle Grillot - kgrillot@shawmedia.com Class president Mark Simon exits the stage after giving his speech at McHenry High School West during the commencement ceremony Thursday, May 15, 2014. 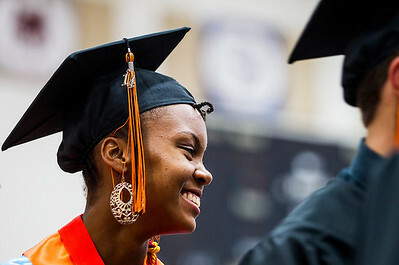 Kyle Grillot - kgrillot@shawmedia.com Senior speaker Omar Axell Cazares smiles at the crowd after giving his speech at McHenry High School West during the commencement ceremony Thursday, May 15, 2014. 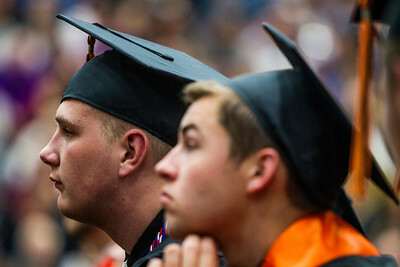 Kyle Grillot - kgrillot@shawmedia.com Students including Joseph Heinmiller (left) watch as students recieve their diplomas at McHenry High School West during the commencement ceremony Thursday, May 15, 2014. 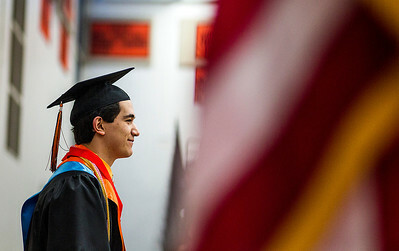 Senior speaker Omar Axell Cazares smiles at the crowd after giving his speech at McHenry High School West during the commencement ceremony Thursday, May 15, 2014.